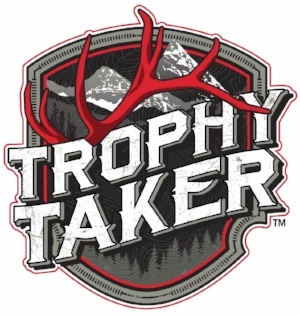 COVINGTON, Georgia (January 8, 2018) Next season starts now with exciting new archery accessories from Trophy Taker, a leader in innovative accessories for bowhunters and competitive shooters. 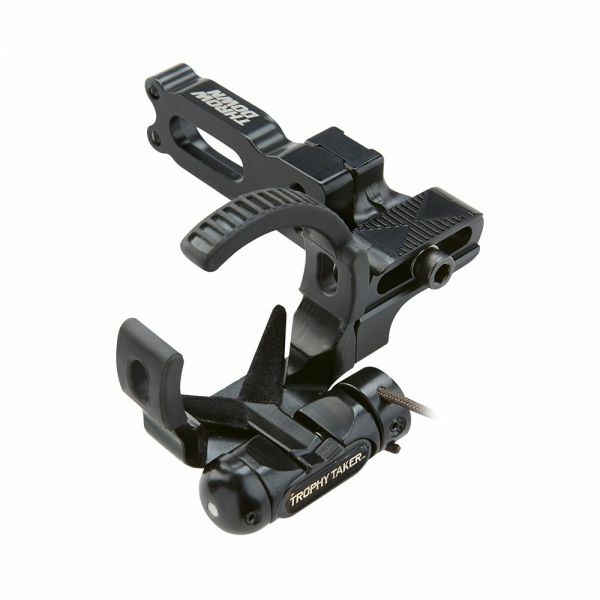 The Tripwire is a buss cable-driven fall-away arrow rest that features a rugged polymer and metal construction. 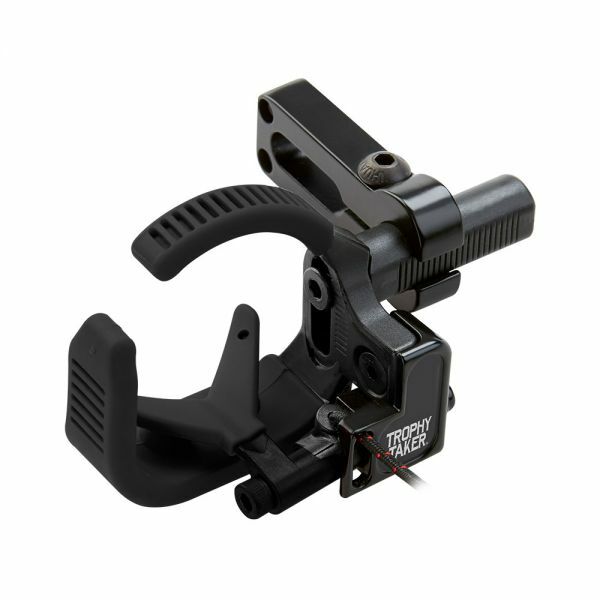 Offering a sleek, quiet and accurate rest like never seen before, the Tripwire is loaded with a superior dampening system and a smooth spring and launcher design. The Tripwire will be available in Stealth Black and left or right-handed configuration for an incredible $39.99 MSRP and backed by Trophy Taker’s unconditional lifetime warranty. The all-new 2018 Throwdown is a buss cable-driven fall-away rest built around Trophy Taker’s bomb-proof launcher and spring design. The Throwdown features an ambidextrous design that sets up easily for left or right-handed shooters. The custom arrow containment ring, built-in silencing dampeners and a new tapered launcher instills confidence in the field. Super quiet operation, lightweight design and rugged over-sized fasteners indicate that this rest is truly built with the bowhunter in mind. The Throwdown will be available in Stealth Black for $79.99 MSRP. The new Quad Steel brings Trophy Taker’s reputation of incredible accuracy, toughness and penetration! Incorporating CNC stainless steel construction, an Air-Channel tip, blade-over-shaft design and an integrated containment ring, Quad Steel broadheads are available in both 100 grain (3-pack, $39.99 MSRP) and 125 grains (2-pack, $39.99 MSRP). Two-pack replacement blades will also be available for $19.99 MSRP. 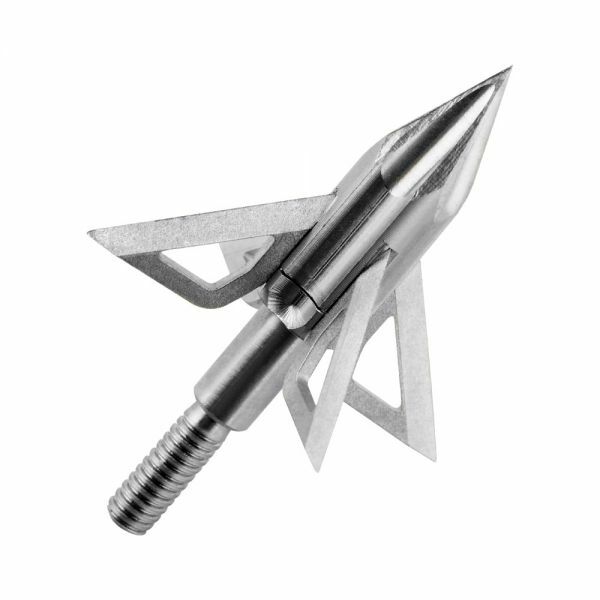 The legendary Shuttle T-LOK broadhead from Trophy Taker will see a design upgrade in 2018. New CNC manufacturing from stainless steel for a precision edge and even sharper blades make this mountain-tested broadhead one for every hunter’s next adventure. The Shuttle T-LOK will be available in three-packs of 100 and 125 grain for $39.99 MSRP and replacements blades will be $19.99 MSRP. 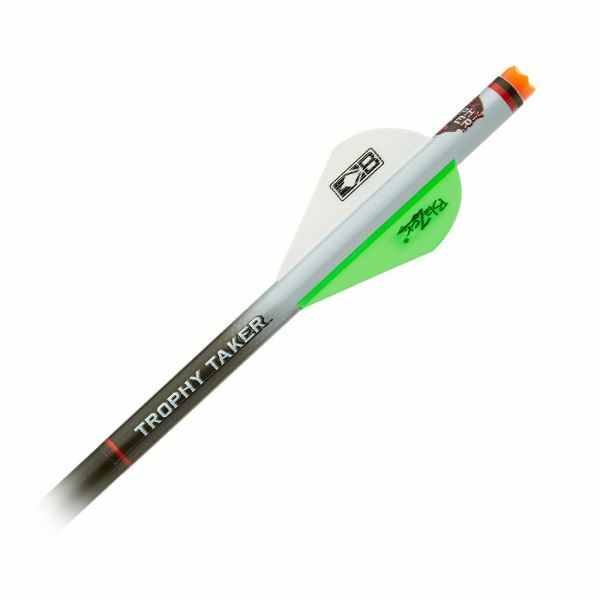 New for 2018, Trophy Taker’s Shrink Fletch enables archers to professionally crest and fletch their arrows at rapid speed. 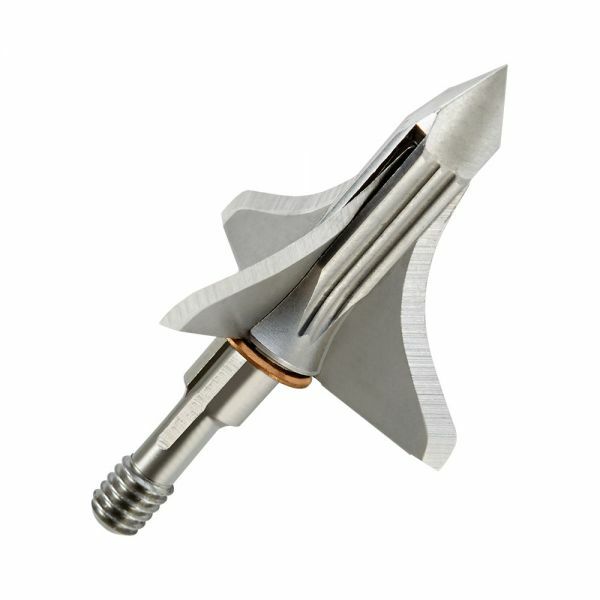 Outfitted with Bohning Blazer® vanes, Shrink Fletch takes shooters away from the jig and into the field in record time. Simply slip a Shrink Fletch tube on an arrow, dip in boiling water for ten seconds then air dry. This easy fletching solution fits all arrows and crossbow bolts and will be available in packs of six for $16.99 MSRP. Color choices include a white or gray tube with either two neon green or two neon orange vanes and one white Blazer vane, and a red tube with two white vanes and one black Blazer vane. The new Sawtooth ultra-light quiver from Trophy Taker holds five arrows in a low profile gripper system. 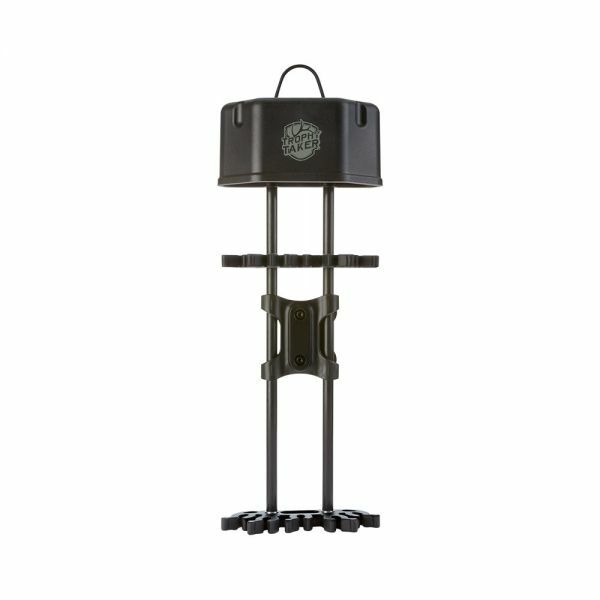 A twist-lock bracket enables easy, quiet removal for hanging by the included lightweight hook loop. The pro-grade Sawtooth quiver will be available in Stealth Black for $24.99 MSRP and Mossy Oak Break-Up Country for $29.99 MSRP. See the full lineup of products from Trophy Taker in the Arcus Hunting booth at ATA (booth #5334), January 11-13, 2018.